Offering training in the traditional Japanese martial art of Aikido. Serving the community of Kensington, Brooklyn and its surrounding neighborhoods. Aikido is a traditional Japanese martial art often translated as the “Way of Harmonizing Energy”. We work with various energies generated by our training partners in the form of strikes and grabs. Practitioners respond to the energy by connecting, blending, guiding, and redirecting it. We re-wire the instinct to fight against these forces and rather utilize and defuse them for a more desirable outcome. In addition, we challenge ourselves to develop an inner calm — to quiet our contentious minds and ultimately use it and our physical skills to better serve others. Aikido does not rely on physical strength or size to be effective. We learn to use our core and through proper form and timing generate power in technique. Learn more about our dojo and classes. 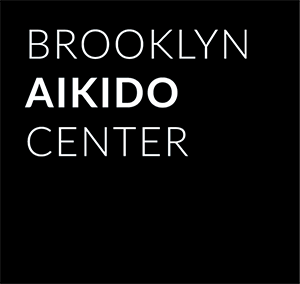 Starting Thursday, May 9th we will be offering a six-week, six-class introduction to Aikido course for adults. View our course page for details, time, and to register. Our course is an affordable and supportive way to experience this wonderful martial art. © 2019 Good Stance, Inc.